The Supreme Court on Monday refused to entertain a fresh petition challenging Article 370 of the Constitution of India which grants autonomous status to the state of Jammu and Kashmir. 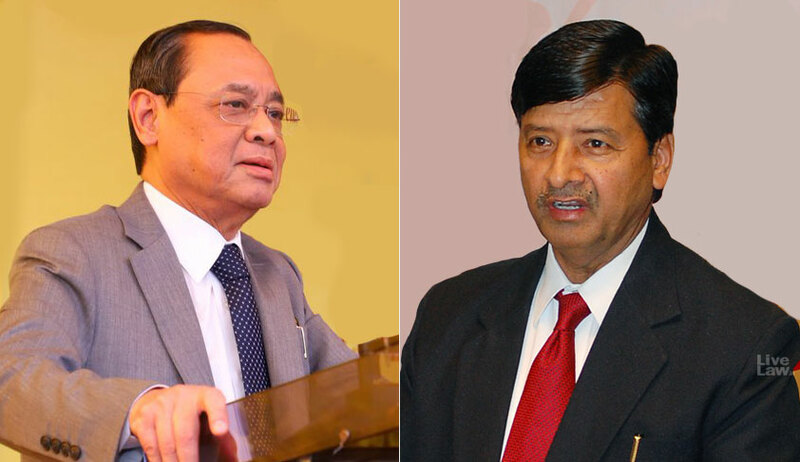 A bench of Chief Justice Ranjan Gogoi and Justice Ajay Rastogi said the issue was already pending before the court and asked the petitioners—Vijay Mishra and Sandip Lamba—to instead move an application for impleadment in the pending petition. The petitioners had argued that the life span of Article 370(3) was only till the existence of the Constituent Assembly and as on date, it is illegal and unconstitutional. They also said the Constitution of Jammu and Kashmir was illegal because it has not yet received the assent of the President. “From the perusal of Article 370 as a whole, it becomes clear that the said provision was valid only till Constituent Assembly ratified the instrument of accession and/ or in the alternative, till the framing of the Constitution of Jammu and Kashmir, in conformity with/ in consonance with approval of President of India. The Constituent Assembly was not in operation on the day of coming into force of the Indian Constitution i.e., January 26, 1950. Therefore, Article 370 deems to be lapsed in 1954 when the Constituent Assembly of Jammu and Kashmir dissolved,” said the petitioners. The petitioners also submitted that the continued existence of Article 370 of the Constitution, given the typical historical setting in which the same was formulated, coupled with subsequent development over the years, violates the structural sanctity of this Constitution and is in effect “a fraud played on the Suprema Lex”. After hearing the petitioners, the bench remarked why the petitioner wanted to increase the number of petitions on the matter and asked them to file an impleadment application instead. During the hearing, the petitioners, appearing in person, argued that the marginal note to Article 370 clearly spells out the intent of the Constituent Assembly to formulate this Article only as temporary provisions with respect to the state of Jammu and Kashmir. “It is a truism in law that what cannot be done directly cannot be done indirectly and the evergreen of the provision of Article 370 contrary to the explicit intent of the original Constitution and that too without bringing about any amendment to the provision itself is a massive subterfuge of the sanctity of constitutional structure,” said the petitioners while adding that continued silence on the issue is sought to be utilised for narrow political gains. The petition also said Article 370 was arbitrary and contrary to the fundamental rights, that is equality before law, equal protection of law, equal opportunity in public employment, right to form association, right to establish educational institutions, right to trade, right to own property and right to know guaranteed under Articles 14, 15, 16, 19 and 21 of the Constitution. The petitioners also said due to vote bank politics, the successive Central governments did nothing to repeal Article 370 and the constitution of Jammu and Kashmir. They also questioned whether the Government of India has rightly delegated the matter related to citizenship etc., to the state government, especially in view of the provisions of Article 1, 11, 246 and Seventh Schedule of the Constitution of India and its Preamble by agreement entered on July 24, 1952, and whether even after ratifying the Jammu and Kashmir accession unconditionally in 1954, the same could further proceed to frame a separate constitution.